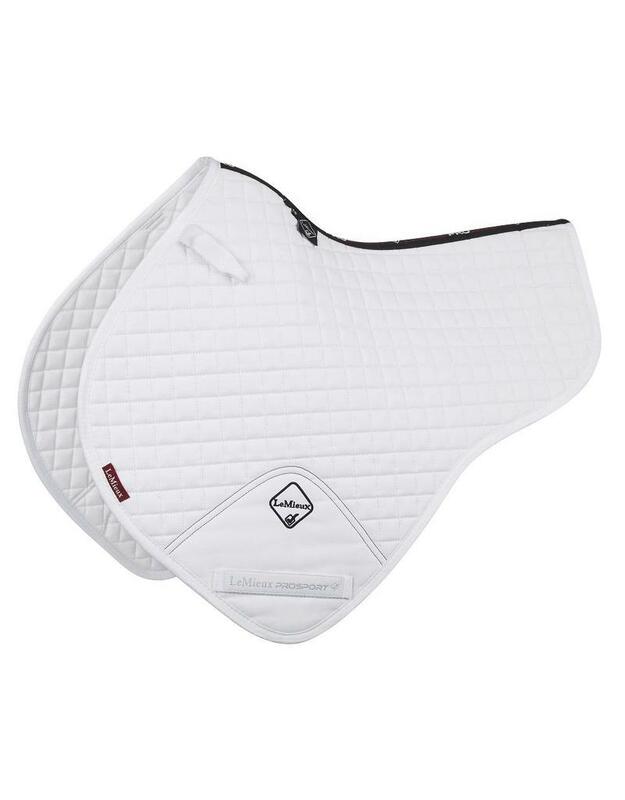 The LeMieux plain cotton Half Square is designed for the competitive rider offering modern style & performance. 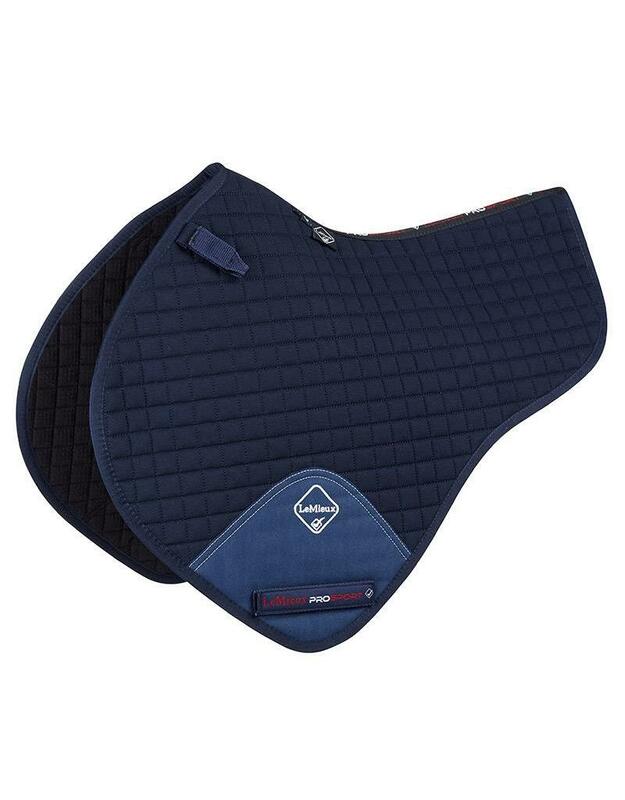 The more streamline half cut profile is cooler than a full square and less bulky, making it one of the least restrictive jumping pads. 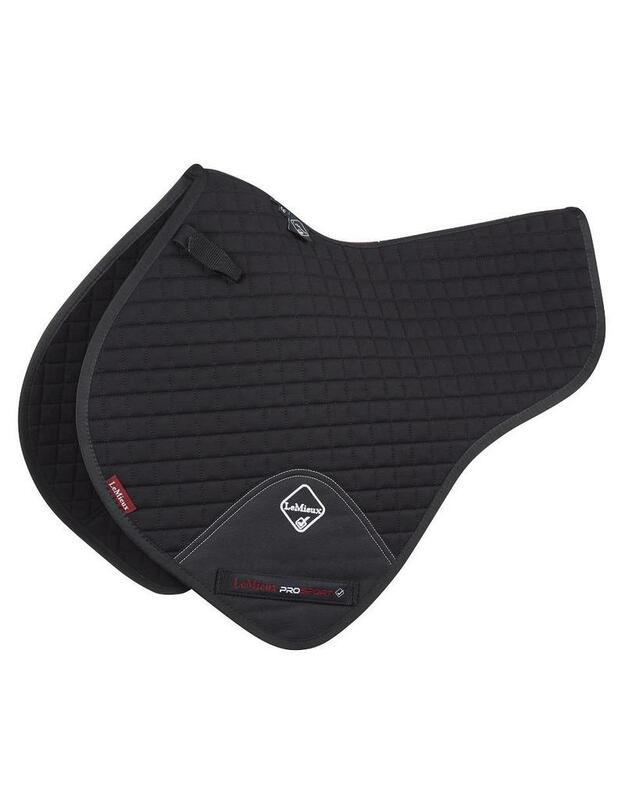 With its high wither, elasticated D-Ring tabs and signature teardrop girth protection area this is a very sporting looking pad. 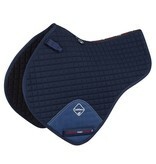 Popular around the world for use in competition, especially in hotter climates. 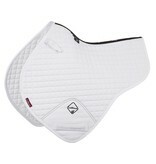 These technically conceived pads have high quality fabric structure enabling them to retain shape & resist shrinkage. Inner lining of cotton is soft whilst breathing and managing heat & sweat. All have the familiar LeMieux high wither and girth protection areas with new locking loops. 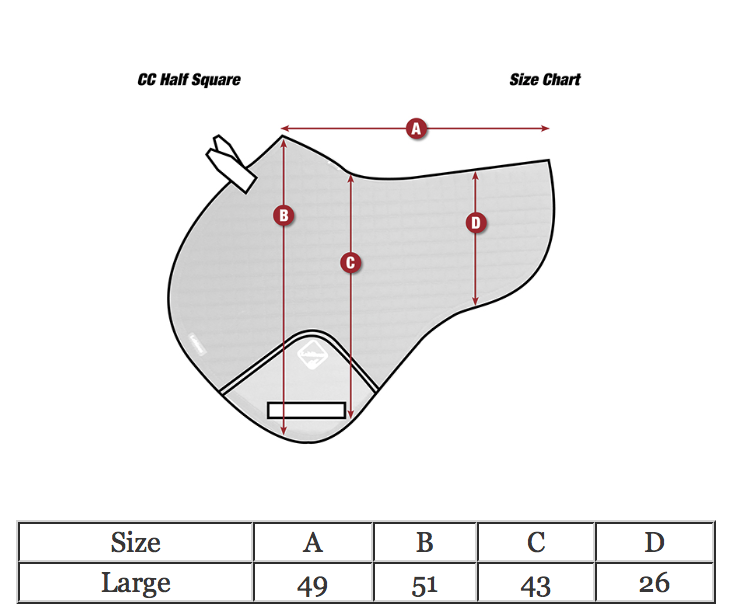 Contoured elasticated D-Ring straps also feature on many pads.